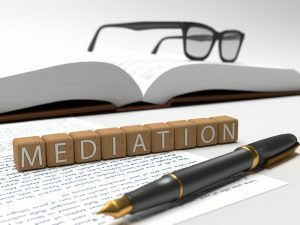 Mediation is a self-directed, cost effective means of resolving divorce and family law issues such as custody, support, alimony and equitable distribution without the high stress, high tension couples may experience in traditional litigation. In mediation the parties make the ultimate decisions concerning their family rather than a Judge telling them what is in the best interest of their family. The Family Court system is very public and very crowded, despite the best efforts of the talented Judges sitting on the Bench. You can attain a much quicker resolution with the assistance of a qualified skilled mediator. Dawn Padanyi is a certified mediator and family law practitioner who can work with you and your spouse to find the best, most cooperative resolution for you, putting your family, particularly the kids, at the forefront while taking the edge off of an otherwise confusing and sometimes challenging time.